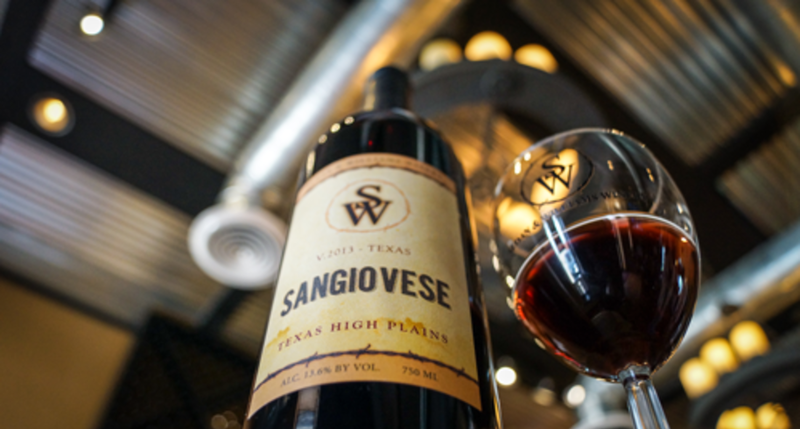 What type of wine is the 2013 Sangiovese? 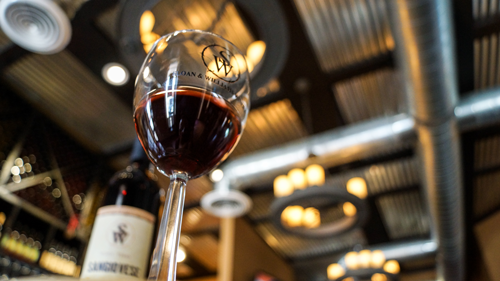 The Sangiovese is a red wine. At the heart of the bouquet is a stunning red licorice and black cherry cola aroma. Aging exclusively in French oak marries this varietal character with a delicate oak nuance and adds a beautiful texture which brings further depth and richness to this wine. 100% Texas High Plains grapes, Texas pride! This is a wine made to be enjoyed with great Italian food, whether it be spaghetti in red sauce or lasagna, and don&apos;t forget pizza with all the trimmings. It also loves big red meat like veal, lamb and steak. It&apos;s great oak and toast characteristics pair beautifully to grilled or barbequed foods. The grape name Sangiovese derives from Latin sanguis Jovis, "blood of Jove", the Roman God of Jupiter who is the "King of Kings". Some reckon that it was first cultivated by the Etruscans (ancient Italians). 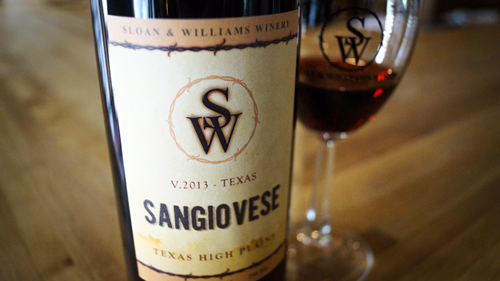 Head over to Sloan & Williams today and give their 2013 Sangiovese a try! Sunday - Thursday, 1 p.m. - 9 p.m.